​Daniel was raised in Epworth, North Lincolnshire and developed a keen interest in music at an early age. In 2012 he graduated from the University of Huddersfield where he read Music; studying a varied programme culminating in a final year specialism in musicology. For five years Daniel was a member of the prestigious Huddersfield Choral Society with whom he toured nationally, working with leading orchestras and conductors such as Jane Glover, Martyn Brabbins and Vasily Petrenko. During his time studying in Huddersfield Daniel established a passion for choral conducting; forming his own chamber choir and acting as deputy conductor for the University Choir and University Chamber Choir on several occasions. Daniel is Assistant Headteacher & Head of Performing Arts at St Bede’s Catholic Voluntary Academy in Scunthorpe where he is responsible for the school-wide Performing Arts provision. He is an organist at the Wesley Memorial Methodist Church in Epworth where he works with a team of musicians to ensure high quality music for worship and civic occasions. Daniel is Musical Director of the Scunthorpe Cooperative Junior Choir, the Scunthorpe Male Voice Choir and the Doncaster Wheatsheaf Singers. Daniel has been tutored in choral conducting by Amy Bebbington, Susan Hollingworth, Peter Broadbent and Sarah Tenant-Flowers. Still an active choral singer, Daniel is a member of the Sine Nomine International Touring Choir and the Lydian Choir. Recent highlights of Daniel’s schedule include bringing together over 200 male voices from across the North of England to perform in a massed choir concert with Lesley Garrett (Soprano), Caroline Clemmow (Piano) and Nicholas Bosworth (Piano), and a tour of the North East of England with the Doncaster Wheatsheaf Singers including performances in the cathedrals of Newcastle and Durham. ​Kathleen focused on Musicology and Ensemble Performance whilst studying Music at the University of Hull, graduating in 2004. She is a former member of the Scunthorpe Cooperative Junior choir and it is here where she formed her love of choral singing. Since leaving the choir she has enjoyed performing with a variety of ensembles both large and small. She currently sings with the St Cecilia Singers – a small female voice choir based in North Lincolnshire, and the Lincoln Cathedral Consort - a voluntary choir, which performs services and concerts in Lincoln Minster, and the diocese of Lincoln. She is also a founding member of high-quality vocal ensemble The Lyndhurst Singers who perform largely a cappella repertoire from a variety of genres. In addition to this, Kathleen is a member of De Mowbrays Musicke who perform Medieval and Renaissance music on authentic instruments. She has enjoyed performing with the group at York Mystery Plays, Gainsborough Old Hall, England’s Medieval Festival at Herstmonceux Castle, Haddon Hall, and other local venues. She is also in demand as an accompanist and particularly enjoys working with classical singers and choirs. In her working life, Kathleen is a qualified and experienced music teacher and has recently taken the post of Music Teacher at Sir John Nelthorpe School in Brigg. She also works for the North Lincolnshire Music Support Service. She enjoys teaching singing and piano on a one to one basis as well as whole class teaching. Kathleen is particularly interested in teaching musicianship and is passionate about helping students of all ages develop musical skills through singing. She is currently working as part of the North Lincolnshire Music Education Hub’s Singing Strategy group who are promoting the status of singing in educational settings from birth to 16. As part of this group she has had the opportunity to direct a number of massed singing events for KS1 and KS2, as well as working collaboratively to deliver KS3/4 singing workshops. She completed the Voices Foundation methodology course in 2007 with Susan Hollingworth, and is a member of the British Kodály Academy, sitting on their Education Planning Board. As well as directing the SCJC Training Choir, Kathleen coordinates the North Lincolnshire Ukulele Group at Frederick Gough School. She is also the lead teacher on the increasingly popular North Lincolnshire Young Music Maker’s Summer School which she has organised for the past six years, catering for children from 5 - 13 years of age. Many SCJC choristers have enjoyed this course, and it forms an important part of Kathleen's Summer Holiday. As a past chorister, Jenny is thrilled to be back as a member of the music team. Jenny developed her love of choral music at SCJC and the incredible opportunities that the choir provided, inspired her to pursue a career in music. Jenny went on to study Music at City University alongside Vocal Studies at Guildhall School of Music and Drama. During her time in London she also sang with ‘Chantage’ a former BBC3 Choir of the Year winner. Jenny specialised in Early Years music and completed a PGCE at Hull University. She then went on to teach EYFS at a Primary School where she discovered her love of conducting choirs. Jenny conducts two award winning primary school choirs, and is excited to witness how years of playing Kodâly type games is now beginning to affect the choirs in both musicianship and quality of sound. She also conducts the Carer’s Crescendo Choir in Grimsby who are made up of carers from North East Lincolnshire. There is no reward greater than seeing first hand the changes in a person when they have been singing in a group. James was a former chorister of the Scunthorpe Cooperative Junior Choir and is delighted to be back working with the choir as an accompanist. James started studying the organ and harmony with Alan Phillips (FRCO) and then with Robert Poyser (FTCL, Director of Music – Beverley Minster). James completed his degree at The University of Hull, where he read Music BMus (Hons). Whilst at university, he was also awarded the Organ Scholarship at Beverley Minster, playing for services, giving recitals and conducting the Minster and University Choirs. James is currently Curriculum Leader of Music at Tollbar Academy, where he oversees and coordinates Music, Performing Arts and Dance for the 6thForm and main school. Alongside accompanying SCJC, James also accompanies The Isle Community Choir and Scunthorpe Male Voice Choir. In the little spare time he has, he enjoys singing with Lydian Choir and Sine Nomine International Touring Choir, under the former conductor of SCJC, Susan Hollingworth. Lynn comes from Manchester. She began piano lessons at the age of 7 and she had some organ tuition in her teens. On leaving school she took a course in Music and Education at Chester College, gaining a Liverpool University B. Ed degree in 1974. She taught in primary schools in the Manchester area for the next 30 years, firstly in Irlam and Swinton before joining the staff of Bolton School in 1990. She was a member of Salford Choral Society, acting as Deputy Accompanist for many of those years. She was also organist at her local Methodist Church. She gained the piano teaching L.R.A.M. diploma in 1987. When she married in 2004, Lynn moved to Cleethorpes. She joined Grimsby Philharmonic Society for which she is an occasional accompanist. She taught briefly at St. James’ School in Grimsby before retiring in 2007. She plays the organ at her Methodist Church in Cleethorpes and began accompanying the Scunthorpe Co-operative Junior Choir in 2009. 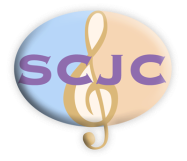 Jean joined SCJC in 2016 and is enjoying it immensely, but her accompanying life started over 30 years ago when she began playing for several local ballet schools during their examinations and musical productions. Her next experience was as an accompanist for ABRSM exams in various disciplines which she still does to this day. Since retiring in 2013 Jean has continued to accompany Oasis Academy Henderson Avenue choir as well as acting pianist for St. Norbert’s school choir, in Crowle. She is a regular face at the Scunthorpe Musical Festival, accompanying singers, solo instrumentalists and her various choirs. Jean also plays for two local community choirs, one of which she has been with for over 20 years. She is regularly called upon to help with various other groups, including the Lion’s ‘Male Voice Choir’, the Scunthorpe Concert Band and not forgetting the local church pantomime, where she has been musical director for over 15 years. Oh yes she has!! !